Yemi Alade has scored a new feat with her smash hit Johnny. The Clarence Peters directed music video for which was the led single for her debut album King of Queens, has now gotten 100 million views on YouTube. 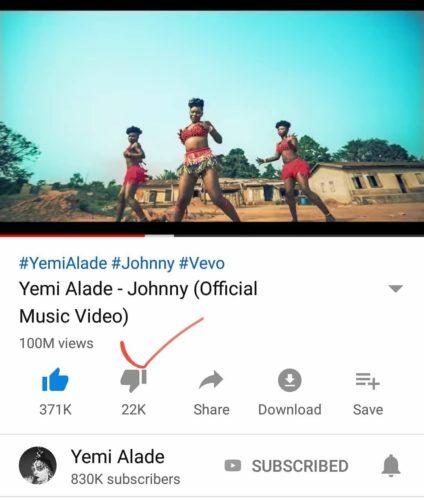 This achievement makes Yemi Alade the first female African artiste and the second African to record over 100 million views on a single music video.